Starting with MicroStrategy 9.2.1, Intelligent Cubes have a new feature to update information without republishing it. It is referred to as Incremental Refresh. There are different ways each Incremental Refresh type option works. Prior to MicroStrategy 9.2.1, if the data in an Intelligent Cube needed to be updated, users had to re-publish the Intelligent Cube, either manually or using a schedule. This process will cause all the data for the Intelligent Cube to be loaded from the data warehouse into Intelligence Server’s memory, so that the existing data for the Intelligent Cube is overwritten. MicroStrategy 9.2.1 introduced a new feature known as Incremental Refresh Options, which allow Intelligent Cubes to be updated based on one or more attributes by setting up incremental refresh settings to update the Intelligent Cube with only new data. This can reduce the time and system resources necessary to update the Intelligent Cube periodically. For example, if a user has an Intelligent Cube that contains weekly sales data, the user may want this Intelligent Cube to be updated at the end of every week with the sales data for that week. By setting up incremental refresh settings, he can make it so that only data for one week is added to the Intelligent Cube, without affecting the existing data and without having to reload all existing data. Users can select two types of objects for the incremental fetch: a report or a filter. Filter: The data returned by a filter is compared to the data that is already in the cube. By default, the filter defined for the Intelligent Cube is used as the filter for the incremental refresh. Report: The results of a report are used to populate the Intelligent Cube. By default, the report template used is the same as the Intelligent Cube’s template. Update: If new data is available, it is fetched and added to the Intelligent Cube, and if the data returned is already in the Intelligent Cube, it is updated where applicable. Insert: If new data is available, it is fetched and added to the Intelligent Cube. Data that was already in the Intelligent Cube is not altered. Delete: The data that meets the filter or report’s definition is deleted from the cube. For example, if the Intelligent Cube contains data for 2008, 2009 and 2010, and the filter or report returns data for 2009, all the data for 2009 is deleted from the cube. Update only: If the data available is already in the Intelligent Cube, it is updated where applicable. No new data is added to the Intelligent Cube. Users simply have to run the incremental fetch report, and this will automatically refresh the data in the Intelligent Cube. In this example, the following database table is used. This is a transaction table for item, status, quantity sold (qty_sold) and transaction number. Insert new rows from report data and overwrite overlapping rows between old cube data and report data. Line 2 – qty_sold number is updated. Line 3 – Status canceled row is newly inserted, and line 4, the original data is not modified. For any change for any other attribute, a new line is added and the previous line also persists. Line 5 – Newly added transaction is inserted. And the new data with transaction_number 1 is not added because it does not meet the filter criteria to have transaction_number >= 100. Only insert new, non-overlapping rows from report data. Line 2 – qty_sold number is NOT updated. Line 3 – Status canceled row is newly inserted. And the new data with transaction_number 1 is not added. Remove overlapping rows from old cube data. Delete Incremental Refresh report is not executed against the warehouse, and executed for Intelligent Cube with the following query. All the data meeting the criteria is deleted. Only overwrite overlapping rows from report data. In summary, when defining an Incremental Refresh report, take the following behavior into consideration. Update/Update only option does not compare all the attribute elements. Delete option is performed on the Intelligent Cube, and data is not compared with the warehouse. I am back to continue and finish this three-part commentary about installing MicroStrategy v9.4.1 on my laptop. Just also wanted to let you know that v9.4.1 Hotfix 2 was released on 02/12/2014 and is now available. I recommend you get your v9.4.1 GA version all up and running properly before you consider installing the Hotfix. Before you begin upgrading your MicroStrategy system, it is always a good practice to review the MicroStrategy Readme document so that you are aware of any changes from previous releases. You should also review the system prerequisites outlined in the Planning Your Installation chapter of the MicroStrategy Installation and Configuration Guide. If you do not review the MicroStrategy hardware and software requirements before upgrading, you may experience problems with the upgrade. Refer to Certified and Supported Configurations in the MicroStrategy Readme for updated information about specific database and driver combinations certified by MicroStrategy. There are several factors to consider when you initially set up your MicroStrategy system. These factors include the number of users that will access the system, report complexity, and whether or not you should employ caches. You should periodically re-evaluate your system and update it based on actual system performance and use. In particular, before updating your metadata (see the Update the Metadata section below), MicroStrategy recommends that you have an amount of free disk space equal to at least twice the on-disk size of the metadata database. A complete discussion of system sizing guidelines is beyond the scope of this blog entry. Refer to the Planning Your Installation chapter of the MicroStrategy Installation and Configuration Guide for the latest details about sizing your system. Due to performance improvements and enhancements, MicroStrategy version 9 may require more memory than version 8 for comparable functionality. In particular, if your MicroStrategy 8.x system is running on Windows and is approaching the 3 GB Windows memory limit, you may need to upgrade your Intelligence Server machines. For more information on MicroStrategy memory recommendations, see the system requirements in the MicroStrategy Readme and the Tuning chapter in the System Administration Guide. If you are installing on a Windows system, you must have a login account with administrative privileges for the domain or target machine. MicroStrategy Intelligence Server installation files. You can access the installation files from a disk or from a network location. Write permissions in the installation directory; otherwise the installation/upgrade process fails. If you have purchased a CPU-based MicroStrategy license and are installing on UNIX or Linux, you need root access permissions for installation. A license key from MicroStrategy for the version of the MicroStrategy software that you are installing. 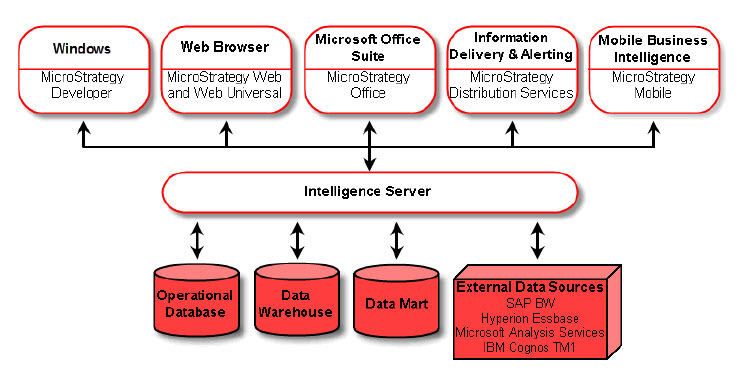 MicroStrategy Analytics Enterprise supports a wide variety of data types for each supported warehouse database. However, some pre-Analytics Enterprise projects may contain data types not supported in MicroStrategy Analytics Enterprise. If a project containing columns with unsupported data types is upgraded, the data types for those columns are assigned as “reserved,” and proper data types are not assigned in temporary tables. This affects report execution. Before proceeding with the upgrade, you must ensure that all data types assigned in the pre-Analytics Enterprise project are supported in MicroStrategy Analytics Enterprise. See the MicroStrategy Project Design Guide for a listing of the supported data types for each database type and additional information about changing to supported data types. Although the MicroStrategy installation process itself does not affect your project’s metadata, MicroStrategy recommends that you back up your metadata before any significant installation or upgrade. In most major MicroStrategy upgrades, a metadata update is required for all the pre-existing projects in your metadata. Once you update your metadata project, you cannot revert that metadata to a previous version. Therefore, MicroStrategy strongly recommends that you perform a full database backup of your original metadata prior to the upgrade. MicroStrategy strongly recommends that you also tape backup, image, or ghost the production server before upgrading. If you want to keep an old MicroStrategy Tutorial metadata repository and warehouse from a previous MicroStrategy version, rename the Microsoft Access files or move them to another location; otherwise, they are overwritten during the installation process. The Access files are installed by default in the MicroStrategy\Tutorial Reporting folder. MicroStrategy requires that you use the Configuration Wizard to update a metadata project created in a pre-Analytics Enterprise version of MicroStrategy to the latest version. If you are upgrading a MicroStrategy 8.x metadata that is stored in a DB2 UDB for z/OS database, refer to MicroStrategy Tech Note TN32695. For assistance with updating MicroStrategy metadata projects from versions prior to MicroStrategy version 8.1.0, contact MicroStrategy Technical Support. MicroStrategy requires that you update projects through an Intelligence Server connection (3-tier). Upgrading your project using a direct ODBC connection (2-tier) is not supported. If you do not upgrade the metadata to the latest version, certain features will not work as expected. For example, if MicroStrategy Web Analytics Enterprise connects to a pre-Analytics Enterprise metadata through an Analytics Enterprise server, Change Journaling, Distribution Services, and some Report Services enhancements may not be available. Downgrading a MicroStrategy metadata or project to any previous product version is not supported. Once you update the project metadata to the latest version, you cannot downgrade to earlier product versions. Therefore, backing up the metadata is an essential step in the upgrade process as it allows you to revert to a backup version of the metadata, if necessary, to obtain pre-update versions of the projects it contains. Your MicroStrategy environment includes multiple variables, such as security requirements, performance requirements, and VLDB settings, that are unique. MicroStrategy cannot anticipate all the ways these variables may interact with the upgrade process. Thus, MicroStrategy recommends you create a test environment and upgrade that environment first, then thoroughly test the upgraded installation. Once the tests are complete, then upgrade your production environment. This ensures that the upgrade of your production environment proceeds smoothly and any unexpected difficulties do not require additional downtime. I will post a blog in the near future about testing your upgraded environment. If you do not want to create a test environment, MicroStrategy recommends that you create and save an Integrity Manager integrity test baseline of your reports and documents. You can then execute an integrity test against this baseline when the upgrade is complete, to ensure that the upgrade has not altered any of your report results. For detailed information about using Integrity Manager to execute integrity tests, see the Integrity Manager chapter of the MicroStrategy System Administration Guide. Do not modify any existing configuration objects. If you need additional configuration objects for testing, you can either create additional objects, or duplicate an existing object and modify it. This applies to database instances, connections and logins, security filters, users and user groups, and security roles. If your production environment is clustered, then your test environment should also be clustered. If your test and production data warehouses have different database table prefixes, make sure you are using the correct prefixes in the test environment’s Warehouse Catalog. Create an integrity test comparing reports from the upgraded test environment with the same reports in the production environment, so that you can easily see where any differences are. If possible, plan to execute data integrity and performance load tests against the production warehouse. This ensures that the test scenarios are as representative of the production environment as possible. If you are creating reports and documents specifically for an upgrade integrity test, create those reports and documents before you duplicate the production metadata. If you are using connection mapping for users to access the data warehouse, check to be sure that all users can log in to the test data warehouse, since user passwords may differ between the test warehouse and the production warehouse. For steps to use Command Manager, see the Command Manager Help, or the Command Manager chapter of the MicroStrategy System Administration Guide. If you are using Narrowcast Server, make sure that the database copy of the Narrowcast repositories is not used when setting up the Narrowcast Server test environment. Instead, make a copy of the repositories with the Copy Repository utility included with Narrowcast Administrator and use this copy. This ensures that the test environment does not accidentally refer to a production server. For detailed instructions on creating a copy of the Narrowcast repositories, see the Narrowcast Server Upgrade Guide. To ensure that your tests accurately reflect the upgrade experience, the upgrade test environment should reflect the production environment as closely as possible. Set up the hardware for the environment. MicroStrategy recommends that this hardware duplicate the configuration of the production environment as closely as possible. Install your current version of MicroStrategy in the test environment. Using the Project Duplication Wizard, duplicate the production metadata into the test environment. For instructions on using the Project Duplication Wizard, see the Managing Your Projects chapter of the MicroStrategy System Administration Guide, or see the Project Duplication Wizard Help. Make sure that your test environment Intelligence Server is connected to your test environment metadata, and not your production metadata. If you do not intend to execute your tests against a production warehouse, duplicate the production warehouse, and ensure that the test environment points to the duplicate warehouse and not the production warehouse. Test the upgrade. Again, a future blog topic. Deploying the upgrade involves installing, activating, configuring, and running the upgrade processes for Intelligence Server, MicroStrategy Web Server, and MicroStrategy Mobile Server, as well as for the metadata, Narrowcast Server, and Enterprise Manager data repositories. These changes, as well as any other procedures that alter the production environment, should be tested when setting up the test environment. Deployment tests should be performed by MicroStrategy administrators who normally have the responsibility of tuning and monitoring the MicroStrategy installation. Some detailed information about installing and configuring MicroStrategy products is beyond the scope of this blog entry and can be found in the MicroStrategy Installation and Configuration Guide. The MicroStrategy Installation and Configuration Guide provides detailed procedures on installing and configuring your MicroStrategy system. It also includes important information about installing, deploying, and configuring MicroStrategy Universal products. In addition, the MicroStrategy Readme contains information about the new products, new features, and bug fixes available in MicroStrategy Analytics Enterprise. For detailed instructions for upgrading Narrowcast Server, refer to the Narrowcast Server Upgrade Guide. Last night, I installed MicroStrategy v9.4.1 on my laptop. 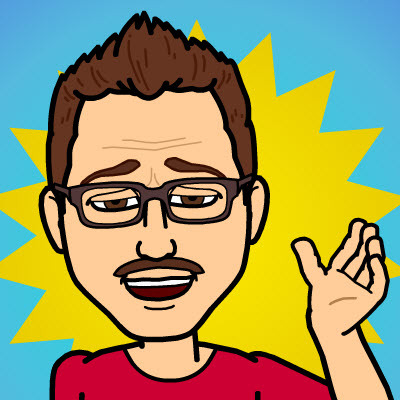 I already have MicroStrategy v9.3.1 Hotfix 3 on it, but want to start experimenting with some of the new features. I have a 10 seat license that any legitimate business can download and use for free. The link to apply and download the 10 seat version is here. Before I talk about some of the interesting components of this install, I want to say that this was the easiest and smoothest install (actually, an upgrade) of any MicroStrategy product I have had. I installed the whole enchilada; Intelligence Server, Web Server, Mobile Server, etc. I hope you find these notes helpful. I have some other really interesting commentaries I am working on and hope to be able to share with you soon. I already had MicroStrategy v9.3.1 Hotfix 3 installed on my laptop. MicroStrategy v9.4.1 is referred to now as MicroStrategy Analytics Enterprise. MicroStrategy Desktop is renamed to MicroStrategy Developer. MicroStrategy Distribution Services replaces Narrowcast in v9.x. Upgrading to MicroStrategy Analytics Enterprise can have a significant impact on your system. The sections below cover some of the specific effects of upgrading. MicroStrategy Analytics Enterprise clients and servers are interoperable with MicroStrategy clients and servers from version 9.0.2 and later. However, full feature support may not be available when the MicroStrategy client and server are on different versions. To ensure full feature support, upgrade all clients and servers to MicroStrategy Analytics Enterprise. MicroStrategy Analytics Enterprise is not interoperable with pre-9.0.2 releases. That is, clients (such as MicroStrategy Web or Developer) from MicroStrategy Analytics Enterprise cannot communicate with servers (such as Intelligence Server or MicroStrategy Web Server) from pre-9.0.2 releases, and clients from pre-9.0.2 releases cannot communicate with servers from MicroStrategy Analytics Enterprise. If your system is using a version of MicroStrategy prior to 9.0.2, all clients and servers must be upgraded to MicroStrategy Analytics Enterprise at the same time. All MicroStrategy products on an individual machine must use the same version of MicroStrategy. In my case, since my laptop is my only environment, I will be upgrading all components to v9.4.1. Do not install or upgrade only some MicroStrategy Analytics Enterprise products on a machine containing older versions of other MicroStrategy products. For example, if you upgrade your Intelligence Server to MicroStrategy Analytics Enterprise, and the Intelligence Server machine contains a copy of Developer, make sure you upgrade Developer on that machine to MicroStrategy Analytics Enterprise as well. In addition, if a MicroStrategy Web client from a version of MicroStrategy prior to 9.3.1 connects to an Intelligence Server from version 9.3.1 or later, a previous version of the MicroStrategy Web search page is shown. To correct this, either upgrade the MicroStrategy Web client to the latest version, or, in the MicroStrategy Web user preferences, change the default start page to any different page, save the user preferences, change it back to its previous value, and save the user preferences again. MicroStrategy Mobile clients from MicroStrategy Analytics Enterprise can communicate with Intelligence Server or MicroStrategy Mobile Server from pre-9.2.0 releases. However, full feature support may not be available when the MicroStrategy Mobile client and server are on different versions. To ensure full feature support, upgrade all clients and servers to MicroStrategy Analytics Enterprise. MicroStrategy Mobile Server Analytics Enterprise and later is not interoperable with pre-9.2.0 client releases. That is, MicroStrategy Mobile clients and apps from before version 9.2.0 cannot communicate with Intelligence Server Analytics Enterprise or MicroStrategy Mobile Server Analytics Enterprise. This section describes some of the changes in MicroStrategy Analytics Enterprise and earlier that may affect your users’ workflows. The default options for VLDB settings may change between releases. You can determine what VLDB default settings have changed by creating a VLDB settings report for your database type before the upgrade, and comparing it to a VLDB settings report created after the upgrade. For instructions on how to create a default VLDB settings report, see the section on Default VLDB settings for specific data sources in the Supplemental Reference for System Administration. The name of MicroStrategy Desktop has been changed to MicroStrategy Developer. The Desktop Analyst security role has been changed to Analyst. The Desktop Designer security role has been changed to Developer. The Desktop Analyst privilege group has been changed to Analyst. The Desktop Designer privilege group has been changed to Developer. In a document, if you no longer display an attribute that is used to sort data, the data is no longer sorted by that attribute. You can still select that attribute to sort data. When importing data from a file, the Select Linking Object panel is now the Select Attribute Form dialog box. When creating a new Visual Insight dashboard, the Dataset Objects panel is now opened by default. When creating a new Visual Insight dashboard, you are no longer immediately prompted to select a visualization type to add to the dashboard. Instead, a blank visualization is added to the dashboard and displayed. The menu options for adding a new metric to a Visual Insight dashboard have been reorganized. For detailed steps to add new metrics to a Visual Insight dashboard, see the MicroStrategy Web Help. When defining a threshold condition to display data in a visualization, to create a new metric value band, click the horizontal slider bar in the Thresholds Editor. When enabling a visualization to update the data displayed in another visualization, the Enable Filtering on Selection option is selected by default. The options to export a Visual Insight dashboard are now available in the Tools menu, under Export. The Graph Matrix visualization has been combined with the Graph visualization. The graph styles previously available for the Graph Matrix visualization (Bar, Area, Line, Scatter, Bubble, and Grid) are now available as styles for the Graph visualization. In the Graph panel, the Rows and Y-axis areas have been combined into the Vertical Axis area. In the Graph panel, the Columns and X-axis areas have been combined into the Horizontal Axis area. In a Grid visualization, in the Properties panel, the Fit To option is now the Width option. Integrity Manager now retrieves all rows of a report or document at once. In MicroStrategy Office, many locales no longer require the Microsoft Office Multi-Lingual User Interface (MUI) to correctly display prompt values during internationalization. In MicroStrategy Office, if you add multiple outline reports with dynamic grouping to a single Excel worksheet, all those outline reports retain their dynamic grouping. Previously, only the first outline report retained its dynamic grouping. In Windows, the MicroStrategy folder in the Start menu has been replaced by two other folders. The MicroStrategy Products folder contains the following items:All other MicroStrategy applications can be found in the MicroStrategy Tools folder in the Start menu. In MicroStrategy Web, the look and feel of the interface has been updated. A new navigational icon bar has been added to the Web interface, with options to create quick dashboards, reports, documents, and more. For detailed instructions on using this new interface, see the MicroStrategy Web Help. In MicroStrategy Web, on the toolbar, the floppy disk is now Save for reports and documents. Previously the floppy disk was Save As. In MicroStrategy Web, to share a link to an object, in your personal folder, right-click the object and select Share, then click Email Link. Visual Insight analyses are now referred to as quick dashboards. In Distribution Services, the Use Send Now privilege is no longer required to send a preview of a subscription. The new privilege Use Send A Preview Now is now required to send a preview of a subscription. The MicroStrategy SDK is no longer available to be installed with the MicroStrategy release. The most recent version of the MicroStrategy SDK is available as a free download from the MicroStrategy support site https://resource.microstrategy.com/msdz/default.asp. Update packages can now be hosted on remote servers. Prior to MicroStrategy 9.3.1, update packages were required to be hosted on the Intelligence Server machine. For information about importing update packages, see the Managing Your Projects chapter of the MicroStrategy System Administration Guide. If you are upgrading from MicroStrategy 9.2.1m or earlier, some widgets that were previously created to display on Android tablets may display as grids or graphs on the mobile device. To display these widgets correctly on Android tablets, see Updating Android widgets from MicroStrategy 9.2.1m.